A common issue for many hearing aid users is feedback—that whistling, screechy sound that makes wearing hearing aids uncomfortable. But you don’t have to just live with hearing aid feedback. Our hearing instrument specialists at Hearing Associates of Las Vegas are often asked about how to stop hearing aid feedback, and they wanted to share their expert tips on how to stop the annoying sound. One of the main reasons hearing aid users experience feedback is because the hearing aid hasn’t created a perfect seal with your ear. When positioned incorrectly, small amounts of air can move between your ear and the hearing aid, creating the irritating feedback sounds. So, the first thing you should try is to take out your hearing aids then re-insert them. You may want to wipe them off first before you put them back in, as the hearing aids may have picked up some earwax. Speaking of earwax, another source of hearing aid feedback is built-up earwax. 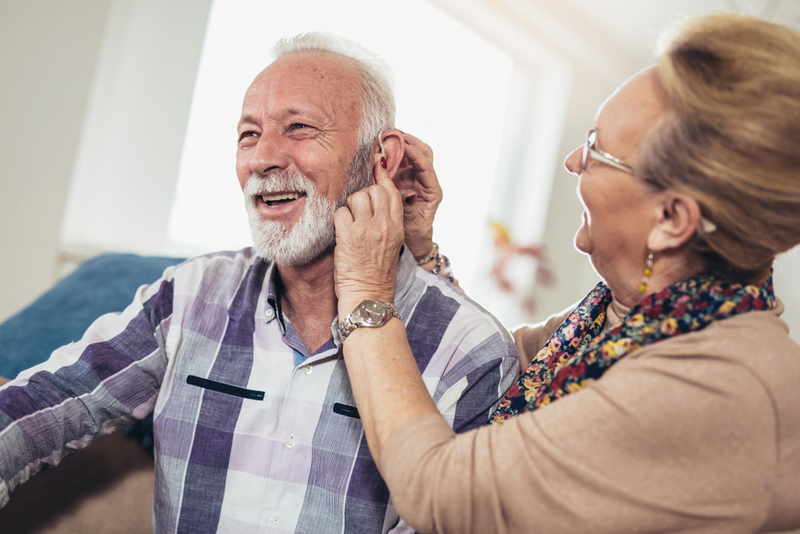 Depending on the style of hearing aids you use and your genetic predisposition to earwax, your earwax can become built-up quickly and create an uncomfortable air funnel which leads to feedback. You can use ear drops to naturally loosen the wax so it can safely come out. If you have compacted earwax, you can have our hearing specialists remove it. We don’t recommend you use anything to scoop or wipe inside your ear canal, as you can damage your eardrum and make the earwax even more compacted. Hearing aids undergo normal wear and tear over time as you use them, and the feedback may be caused by something becoming damaged. If you have tried the other two steps above, it may be time to visit our hearing office. One of our hearing instrument specialists will take a look at your hearing aids and make repairs in our office lab if possible. We may need to send your hearing aids into the manufacturer for major repairs, but we will loan you a pair of free hearing aids while yours are out for repairs. Our ears can subtly change shape over the years and can cause your hearing aids to create feedback sounds. If you have an earmold or custom in-ear hearing aid style, having your hearing aid case re-cast and fit to your ear can help eliminate the feedback. If you need help with your hearing aids, whether you have an issue with feedback or it isn’t sounding quite right, you can contact us for an appointment with one of our hearing specialists. We are ready to help you enjoy the best hearing possible.